Roche Brothers a civil engineering and contract mining company was founded by Jim Roche and two of his brothers in the 1920’s. It pioneered the use of backhoe tractors instead of front-end loaders in mining operations and contract mining in Australia. 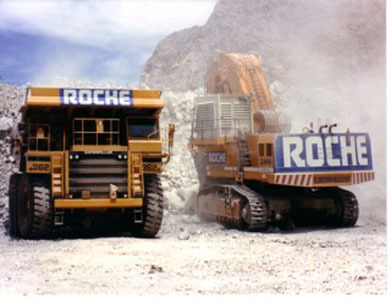 This Roche innovation was picked up by mining companies all over the world, and helped put Australia at the forefront of open-cut mining technology and Roche became one of the largest contract mining companies in Australia. Roche have a number of key Victorian and Queensland developments including Sandhurst and Sandarra Carrum Downs, Sanctuary Lakes Resort at Point Cook, Mission@Mission Beach Queensland and Mason Point in South Morang. Operational investments that Roche have under control include Brooks Nursery and a number of listed and unlisted investments. Roche Holdings are currently involved in several new and established businesses and continues to seek new opportunities into the future. Copyright Roche Holdings Pty. Ltd.